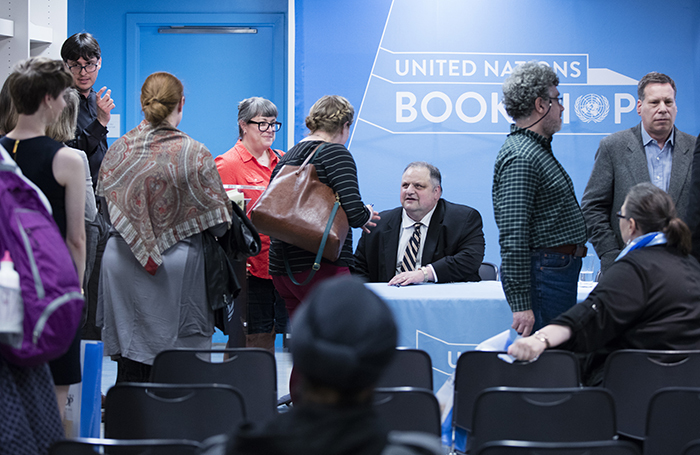 United Nations, New York, USA, April 01 2016 – Book Signing by Steve Silberman, author of “Neuro Tribes: The Legacy of Autism and the Future of Neurodiversity” today at the UN Headquarters in New York. UNITED NATIONS, April 2 2016 – People on the autism spectrum are often stigmatized and face great challenges in their daily lives. April 2 is World Autism Awareness Day (WAAD). The UN celebrates the eighth WAAD with a high-level event and various panel discussions. 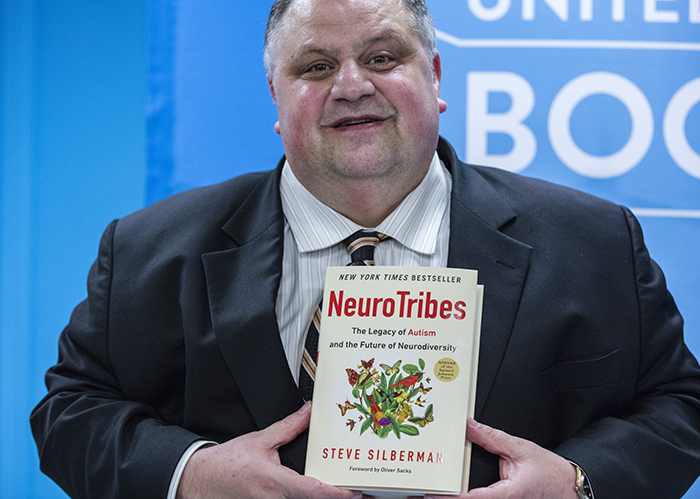 “We’re moving from viewing people on the autism spectrum as failed versions of normal to … different, not less,” Steve Silberman, award-winning journalist and author of NeuroTribes: The Legacy of Autism and the Future of Neurodiversity, said at the UN on April 1. Autism is a lifelong condition affecting millions of people. In many areas around the world there is a lack of awareness around autism, leading people to violate human rights by mistreating individuals on the autism spectrum. Autism and the 2030 Agenda: Inclusion and Neurodiversity is the theme of this year’s WAAD. As autism is classified as a form of disability, it is included in the Sustainable Development Goals (SDGs), the seventeen Global Goals which were adopted by the UN General Assembly in 2015. The 2016 observance of the WAAD discusses how the SDGs can improve the lives of people with autism. Awareness around autism has already improved over the past few years. “At Bellevue Hospital (in NYC) more than 850 children were diagnosed with childhood schizophrenia in just a few years in the 1950s. Now we know that schizophrenia is in fact very rare in childhood and that most of these children were on what we now call the autism spectrum. At least two generations of autistic people lived and died in institutions where they were subjected to brutal experimental treatments and thought to be incapable of learning and development,” Silberman said. While the United States has invested hundreds of millions of dollars in research on the causes of autism over the past fifteen years, there are not enough programs helping people with autism making the transition out of school into their professional lives. While individuals with autism often receive a lot of support in school, they struggle with finding a job afterwards. 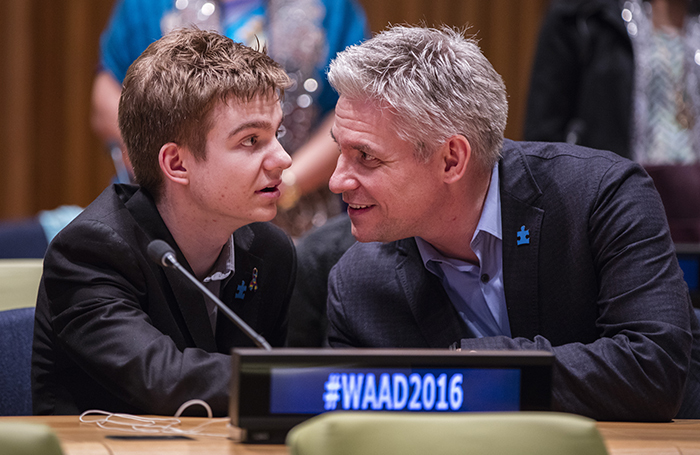 The UN and autism organizations around the world celebrate WAAD with awareness campaigns and fundraising events. One of the campaigns is a “Call to Action”, encouraging employers to offer job opportunities for individuals with autism. Employers can sign a voluntary commitment to express their support for this initiative. Buildings around the world, such as Christ the Redeemer in Rio de Janeiro or the Israeli Parliament Building in Jerusalem will Light It Up Blue (#LIUB) on WAAD to put a spotlight on this disability.